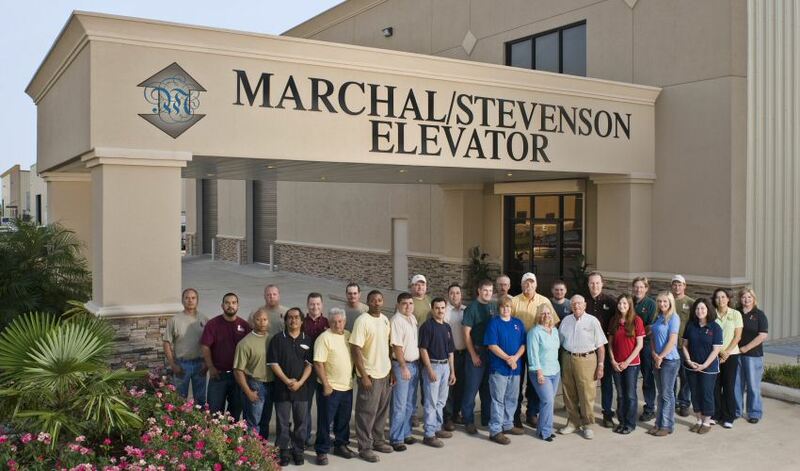 Steeped in family tradition, Marchal/Stevenson Elevator is committed to the highest quality customer service and installations. With over 40 years in the residential elevator business, we remain dedicated to meeting your home's vertical mobility needs. Marchal/Stevenson Elevator installs only the highest quality residential elevators, stairlifts, dumbwaiters and wheelchair lifts. We focus on honesty, hard-work, and integrity. Our reputation is built by our customers' recommendations. You can't buy "word of mouth" recommendations. When leading real-estate companies, builders, architects, and our customers tell their clients and friends, "Only use Marchal/Stevenson! ", that's the best endorsement we can ask for. Ron began in the commercial elevator industry in 1953. In 1978, Ron started the residential elevator business. He pioneered the idea of residential elevators with the help of major home builders and architects in Houston. Together, they incorporated his design to produce homes as "elevator capable" by stacking closets and creating a pit for a future elevator. Today, Ron's innovative ideas have led Marchal/Stevenson to be the largest dealer in the world for Inclinator Co. of America. Ron was originally from New Orleans, Louisiana. He attended Tulane University and served his country in the United States Air Force. Ron was called home to be with his Lord and Savior in 2016. He left his legacy to his three daughters, Debi, Jeanne and Jenni. Debi is Ron's oldest daughter. She has been part of the family business since its inception. She oversees inside sales, marketing, and the maintenance department. Her main objective for the maintenance department is to provide quality service for all customers. Our company motto is "The best service after the sale". Debi's hobbies include traveling and gardening. She also enjoys showing horses with her daughter and granddaughters. Doug has been married to Debi, Ron's daughter, for over 40 years. They have three children, who all work at Marchal/Stevenson. Doug joined Ron in 1978 to start Marchal/Stevenson Elevator. Doug manages all aspects of construction, outside sales and troubleshooting. He has a keen eye for new technical ideas and improving today's elevators. Doug attended Sam Houston State University. His hobbies include rebuilding vintage motorcycles, hunting, and aviation. Mark, Ron's son-in-law, joined the company in 1997. Mark's two children also work at Marchal/ Stevenson. Mark graduated from the University of Iowa in 1985 with a business degree in marketing. His experience in working for a major electronics company contributed new ideas to Marchal/Stevenson. His sales experience is unparalleled, forming personal relationships with our architects, builders and homeowners. He oversees our crews to make sure all our jobs are started and completed in a professional manner. Mark's hobbies are sports and traveling with his wife, Jenni.